Summer isn’t traditionally a season associated with Harris Tweed but with an international reputation and global reach, there is always someone, somewhere, in need of a little warmth, quality, style and beauty. The island mills remain in full production at this time of year, processing orders to ensure cloth is delivered to clients in time for the Autumn/Winter fashion season and the Harris Tweed Authority are busy taking prospective clients, journalists and industry figures around the islands and into the weavers sheds, to give them a flavour of just how local a product their clo mor really is. The busiest mill on the island is in Shawbost and there is a small boutique store in the capital town of Stornoway. 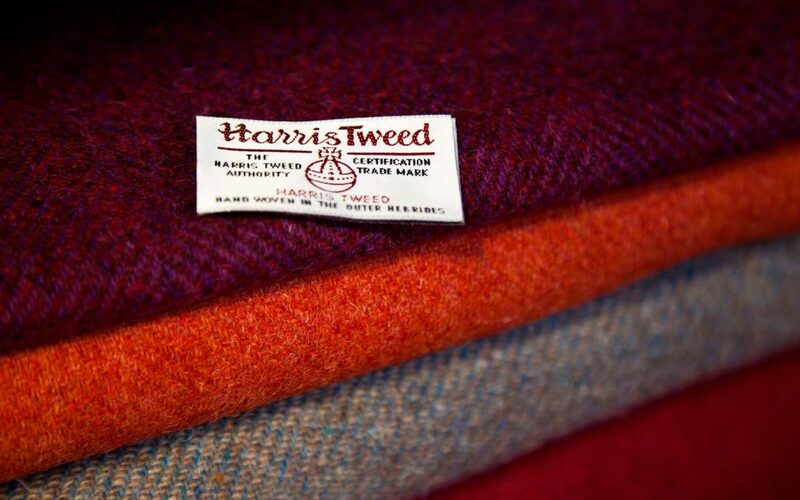 Only founded five years ago their tireless efforts are now seeing them produce 95% of the Harris Tweed that leaves the Hebridean shores each year. This success has not gone unnoticed, with a slew of industry awards including this months finest accolade yet, UK Textile Company of the Year Award and UK Manufacturing Company of the Year at the UK Fashion and Textiles Awards in London. We’re pleased not only to see the industry gain such high-profile recognition but to know we’re playing our part in the success of this age old craft, keeping mill-workers and weavers busy, on the back of our own dedication to this wonderful cloth.